We’ve been diving back into LEGO table Dimensions over the last few days as we check out the latest sets and content to join the LEGO Multiverse. Now we’ve experienced the sixth wave of LEGO Dimensions packs, we taking a closer look at them all. There are now four different types of LEGO Dimensions packs – Fun Packs, which include a minifigure along with a vehicle or gadget. 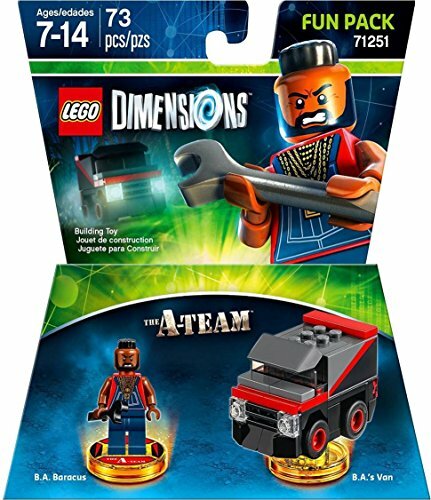 Team Packs which double the fun with two minifigure along with two vehicles or gadgets. Level Packs, which feature a minifigure along with two vehicles or gadgets and also add a brand new mission-based level to play through. Each character included in these sets can also unlock access to their relevant Adventure World. Along with the original types of packs, Year Two adds the Story Pack. 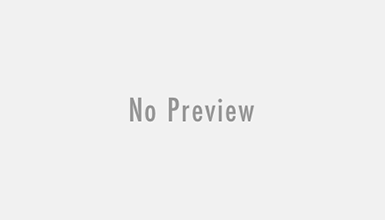 These include the largest chunk of new content with a completely new six level story and the set also includes bricks to build a newly themed Gateway for the LEGO Toy Pad, minifigure, vehicle or gadget. The sixth includes six different sets, including a Story Pack, two Team Packs, two Level Packs and a Fun Pack. Thanks to Warner Bros. UK we’ve been checking out these new packs over the last few days and this is what we think of them all. As the packs are adding both new physical elements and in-game content we’ll covering both, as well as taking a closer look at the new Battle Arenas. Once you’ve downloaded the latest update to LEGO Dimensions, you’ll be able to then download each of the new packs content, so if your console is a little light on space and you haven’t purchases certain packs, you can pick and choose what you need to download. In the main area of the hub, you’ll now find a new console next to the main LEGO gateway, this allows you to access the old area of Vorton, along with the new area called The Shard as well as the Battle Arenas. The Shard is home to all the new Adventure World portals for this years new IPs so there are 16 new areas to discover, of course these can only be accessed by the relevant worlds characters. So many of them will become accessible as new packs are released. For now you can dive into the Adventure Worlds of The A-Team, Harry Potter, Adventure Time, Mission: Impossible and Ghostbusters 2016. As you don’t need to fork out for a new version of the main game and input device, this years big focus are Story Packs, these let you play a six level campaign based on the story of big movies releases. The first of which is based on this years new Ghostbusters movie. Story Packs are a combination of a Level Pack and a standalone LEGO game. Plus they include bricks to build a new themed gateway for the LEGO Toy Pad so are well worth the money. The new characters in the Story Packs also unlock more Adventure Worlds and new Battle Arenas, with the Adventure World also acting as the hub world for the Story Packs levels. It’s a great way to introduce new content, without completely affecting the previous years stuff. However this also makes it feel a little disconnected to the events of Year One. The Starter Pack had a continuous story, which tied everything together. Due to the open ended finale of the main game, many assumed the story would be picked up again in Year Two. From what I’ve played so far there is no story based connection to Year One. Characters do crop up in the background and there are nods to Year One packs in some of the new Adventure Worlds, but it would of been nice to see what Lord Vortech was getting up to. TT Games have said they aren’t abandoning the story elements of LEGO Dimensions and that this year is a little more experimental. So hopefully Year Three will be a little more connected. Along with the Ghostbusters Story Pack, Wave 6 includes two new Level Packs. One based on the popular yet surreal Cartoon Network show, Adventure Time and the other on the 1996 movie reboot of Mission: Impossible. 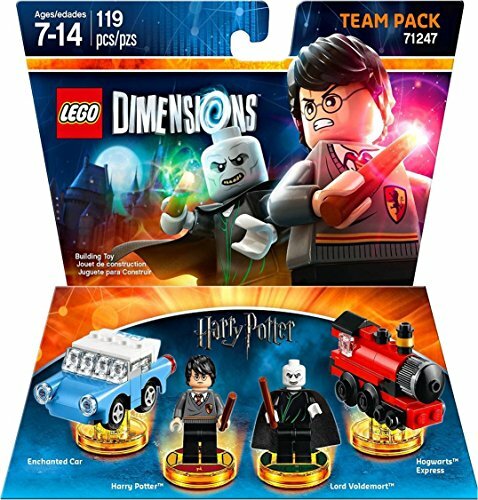 These are joined by Adventure Time and Harry Potter Team Packs along with a Fun Pack based on the The A-Team, they certainly make for a eclectic mix content. But as the tagline for the games states LEGO Dimensions is all about Breaking the Rules. 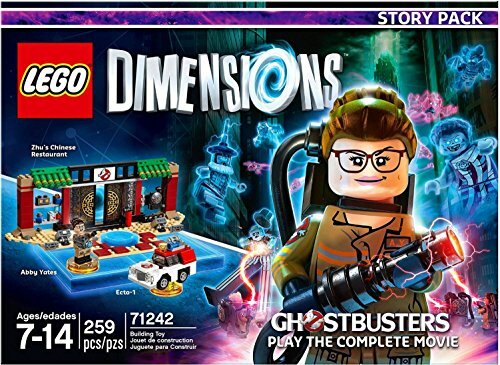 The original Ghostbusters graced the LEGO Multiverse during Year One, but it’s the female cast of the this years controversial Ghostbusters movie who star in the first of the Story Packs. You replay the events of film across 6 levels, making the experience a lot more involved than Level Pack but with less content than a standalone LEGO adventure. The film may have had its fair share of backlash but I really enjoyed what I played. The story was fun and sat well within the LEGO Dimensions line-up. The Story Pack features Abby Yates, but you’ll get to play with all four of the main characters along the way. Each have the own abilities, some of which are variants on abilities from Year One. Abby can use the all-new Charge Transfer ability take electrical charges from one outlet to power another, Erin can use the Proton Pack to target and destroy sliver LEGO objects, Holtzmann uses the Proton Pack to pull LEGO target points and Patty can use her Ghost Chipper weapon to take out ghostly shields. Each can also wrangle spooks, just like the original Ghostbusters could but you don’t need a separate trap to capture them. The Ghostbusters Story Pack also makes use of a new Elemental Toy Pad feature called RIP. This opens up portals to alternate versions of the area you’re in, from which you can send through parts. The cast have all recorded new dialogue for their parts and even Bill Murray makes an appearance both as new character and a billboard which gives a nod to Lost In Translation. In terms of LEGO, there’s a Abby Yates minifigure, who is identical to the one included with Ecto-1 & 2 earlier this year. She’s joined by a new micro version if Ecto-1, buts most excitingly you also get bricks to build a new gateway for the LEGO Toy Pad. This is themed around the Ghostbusters Chinese restaurant HQ. LEGO Dimensions may be all about breaking rules, but let’s be honest who could of predicted Mission: Impossible being a part of the LEGO Multiverse? Well surprisingly it works extremely well. The 1996 movie isn’t known for its chuckles but that hasn’t stopped TT Games filling it with genuinely amusing moments. The Level Pack follows the events of the first M:I movie with sounds bites taken from the film, just like TT Games have done with some of their other games, however some of the cast including Simon Pegg have recorded new VO for the M:I Adventure World. This incorporates elements from all the Mission: Impossible movies. One of tiny Tom Cruise’s special abilities is to take on the identity of various other characters, this is used a little in the main level as well as playing a part in the Adventure World. Another fun addition in the Fuse mini-game. Think of it as a maze based version of Snake where you must direct a fuse line through a circuit maze to reach the detonator before the lit end catches up. 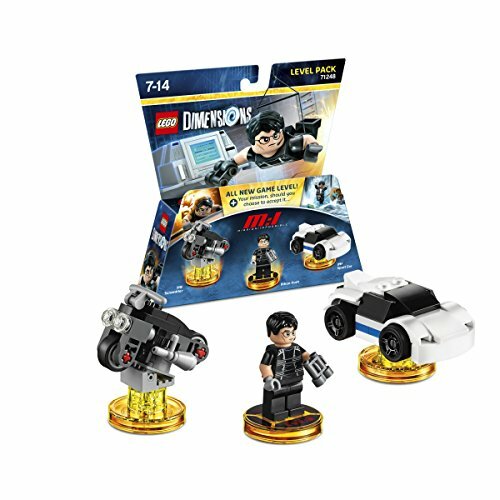 Along with the in-game content the M:I Level Pack includes a Ethan Hunt minifigure, which is of course exclusive to the pack, however it’s unconfirmed if this tiny version of Tom Cruise is in fact to scale. He’s joined by two vehicles a Spy-Cycle and a Spy-Car, they are a little bland and don’t really offer much variety in game, but with tiny Tom Cruise being so short he needs something to get him around. 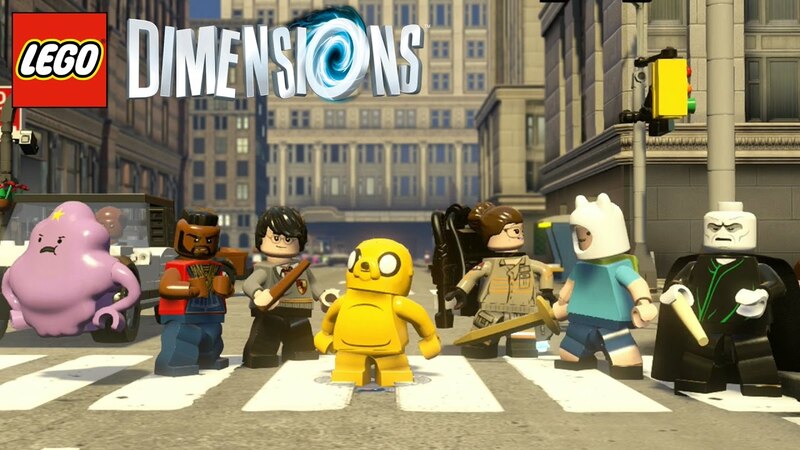 Adventure Time is a great fit for LEGO Dimensions, it may not be to everybody’s taste but has a cult following due to it’s surreal worlds and cast of crazy characters. All elements connected to Adventure World uses the same type of cell-shaded graphics as The Simpsons and Scooby-Doo content did, but it looks so much better. TT Games have done an amazing job of bringing the 2D animated world of Adventure Time to life. The Adventure Time Level blends various stories from the show into one totally mathematical adventure. The Level Pack includes Finn the human, who can harness various magical swords to overcome various obstacles, the abilities are variants are other abilities such as being able to tackle overgrown plants or swinging over gaps. The voice cast of the show have all provided their voices and there’s even a catchy auto-tuned ditty to enjoy. I have seen a few episodes of Adventure Time but wouldn’t call myself a fan, however I loved the Adventure Time Level Pack and it’s Adventure World is even more crazy than the Level Pack is. 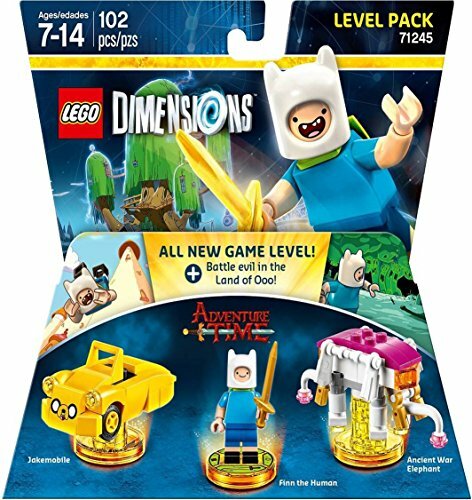 Within the Level Pack you’ll find a Finn the Human minifigure, along with a brick-built Jake-mobile and the Ancient Psychic Tandem War Elephant. The Team Pack includes a minifigure version of Jake the Dog, the sassy-mounted Lumpy Space Princess plus a brick-built BMO and a Lumpy Car. Jake has a completely new molded head element, with LSP being a entirely new LEGO piece. There may be an Adventure Time set due next year but they won’t include minifigures so these pieces are completely exclusive to LEGO Dimensions. Harry Potter has already been a popular LEGO theme and the Wizarding World of Potter has already been visited by TT Games, which will soon be released again as a remastered collection. The Team Pack unlocks access to the Harry Potter Adventure World and Battle Arena. The Adventure World is filled will iconic locations, characters and events from all of the Potter movies. The Battle Arena is a nice addition too. Being a Team Pack the real draw in the LEGO minifigures and their mini-builds. You get a new version of the boy wizard Harry, complete with a new style hair piece, Lord Voldemort appears to be the same minifigure which appeared in Harry Potter sets. Although faceprint has been ever so slightly tweaked. The minifigures are joined by a mini Hogwarts Express train and the flying car which first appeared in the Chamber of Secrets. Mr T makes his LEGO debut as The A-Team’s B.A. Baracus, in the only Fun Pack released as part of Wave 6. In-game B.A. unlocks The A-Team Adventure World and Battle Arena. Despite the awesomeness of having a Mr T minifigure, he’s not voiced by the actual Mr T which is a real shame. He might not sound right, but thanks to a new Mohawk element he at least looks the part. B.A. can switch to the other members of The A-Team and he’s also joined by mini version of the iconic A-Team van. It’s a fun little pack to own and the another example of how Dimensions can be a great way to introduce characters into the world of LEGO. LEGO Dimensions continues to impress with its unique take on Toys-to-Life and it’s epic mash-up of franchises are truly amazing. Story Packs are a great way to include bigger chunks of content without making people fork out for a completely new Starter Pack. The ethos of the LEGO Dimensions is very much aligned to that of LEGO. Everything released here and in the future is completely compatible with everything released during Year One and even if you don’t play the game the physical elements included, can be used with any other LEGO bricks and sets. 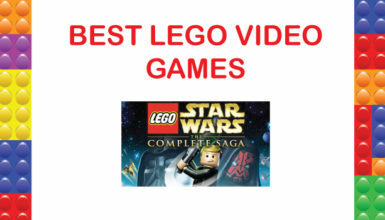 Battle Arenas are also a fun additional, LEGO Videogames have always had a keen focus on playing together but now that includes up to four players. Even playing alone, Battle Arenas are extremely fun to play, but once you grab a couple of friends it really comes into its own. So much so we’ll be taking a more in-depth look at the new LEGO Dimensions Battle Arenas in the next few days. It’s a shame the story elements from Year One aren’t as prevalent as they could be and Mr T not voicing himself is a little grating but it’s more than made up by the fact you get a Mr T minifigure. If you love LEGO Dimensions you’ll want to grab all the sets but if you can only get a few then the Story and both Level Packs offer the most fun and content. LEGO Dimensions Wave 6sets are available now from Amazon, LEGO Shop@Homeand other games and LEGO retailers.